Missing teeth can affect your self-confidence and ability to eat and speak. With more than 30 years of experience, Denture Design Studio in College Place, Washington, which also serves residents in Walla Walla and surrounding areas, specializes in dentures and is dedicated to providing high-quality custom dentures. To learn more about full, partial, and implant-retained dentures, call Denture Design Studio today to schedule your free consultation. Several factors can lead to tooth loss, but the leading cause in adults is periodontal disease. Also called gum disease, periodontal disease develops from a bacterial infection in your gums. In the earliest stage of gum disease, plaque builds up on the tooth. Plaque hardens into tartar — a substance that requires professional cleaning to remove. As tartar builds up and plaque continues to grow, gums get irritated and infection sets in. When left untreated, gum disease damages the tissue that supports your teeth. As the infection progresses, you can experience bleeding gums, difficulty chewing, and ultimately, tooth loss. The best way to avoid periodontitis and protect your teeth is by practicing good oral hygiene and having preventive dental appointments with professional cleanings. More than 36 million Americans are missing all of their teeth. Denture Design Studio offers a wide range of denture options if you’re in this situation. To provide an even more personalized and natural look, Denture Design Studio also offers custom dentures. Denture Design Studio works closely with you to design your oral appliance, and then makes it on the premises. Team members guide you through the process of selecting the best denture type for your individual needs. They take an impression they’ll use to make a model of your mouth. This assists with the design process and helps get you a comfortable fit. The teeth in your dentures are made from various types of resin or porcelain to provide a natural look and feel. When they are complete, they’re set in a supportive base that resembles your gums. You can weigh in on the gum shade and texture, tooth shape and color, as well as the amount of ridging detail on the roof of the denture. After finishing your dentures, the Denture Design Studio provides adjustments, so you maintain a comfortable fit. 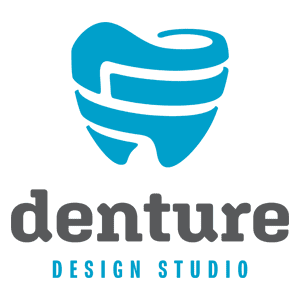 Call Denture Design Studio today to schedule your free consultation and learn more about their denture services.